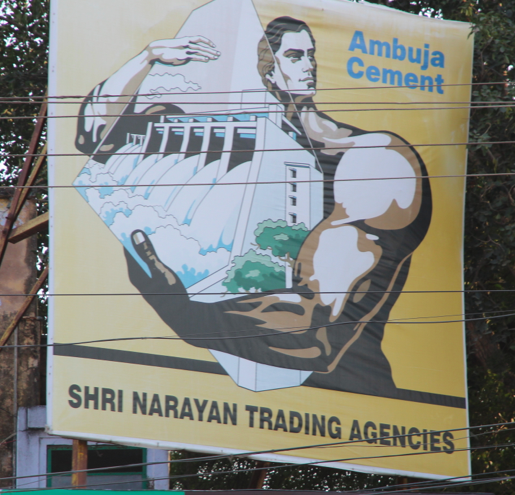 Signs of India—elections, cement and underwear | Where to next? India is awash with colourful billboards. Whether they’re erected on the side of the road or painted on the side of a building, there are several common themes. Now that we’re in Rajasthan, the coming state election is advertised everywhere. 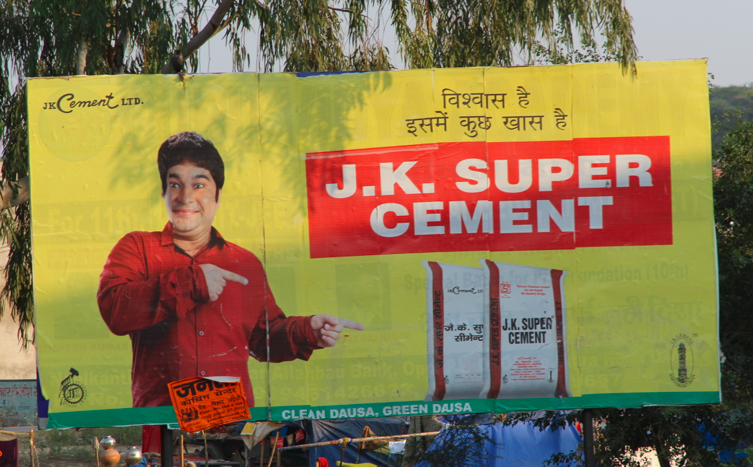 But Poor John was first to point out that cement and underpants (or innerwear, to use the India terminology) top the list as the overall most popular billboard topics. I’ve lost count of the number of brands for each. I’ve managed to snap pics of many different cement signs, with my favourites pictured here, but I’ve not been quick enough to capture images of such memorable and descriptive underwear brands as Big Boss, Brute, Venus and Lux Cozi (selling vests and drawers). There are plenty of reminder signs too—such as advice to put toilet paper in the bin rather than the toilet itself and to not spit on walls. People must be pretty good about following the first because no toilet has backed up on me yet, but there are a lot of tobacco-splattered walls that are evidence that few pay attention to the latter. I think that most of India is very colourful. Q&A broadcast from there this week and finished with a Bollywood dance. There’s a young Australian-born Indian woman from Melbourne who now lives in India and seems to becoming a Bollywood star pretty damn quickly. She participated in the dancing; it was beautiful. Have a look on iView if you have time. And I’m so pleased that they remind you to not spit on the walls! Heaven only knows what people would do if you didn’t remind them of such basic courtesies. The billboard photos, like all your others, are great too. We’ve met a few Bollywood stars here, but not the young woman from Melbourne. She is known and we sure hope she does well. Oh that’s funny. Yes, I bet whitening cream ads would be very popular.